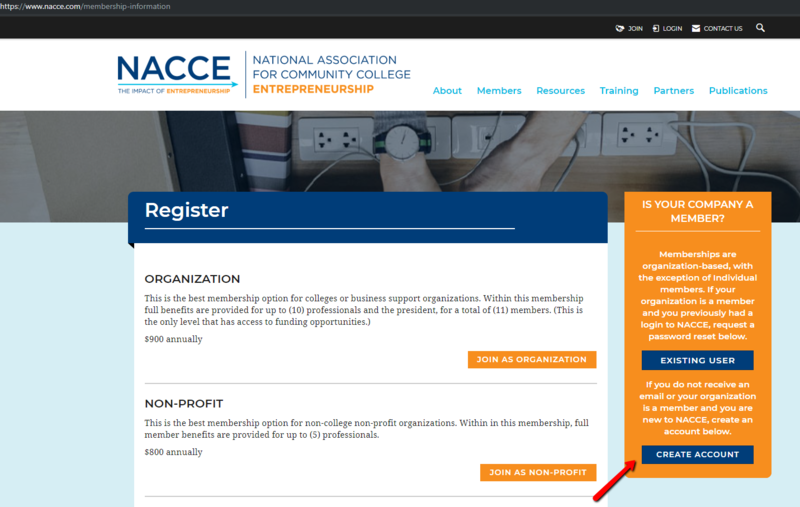 You will neeed to create your account to join your organization's membership. Step 2: Don't forget to agree to the terms and conditions! 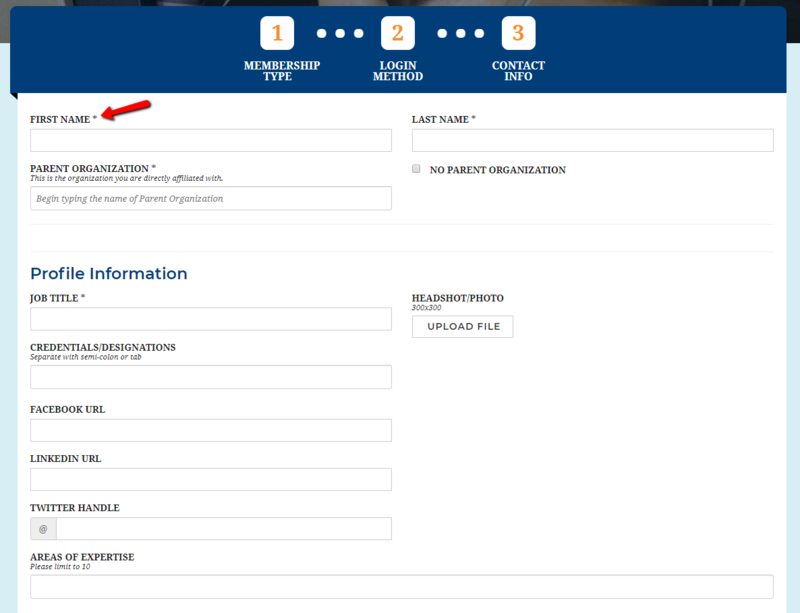 Step 3: Fill out your member profile as much as you'd like! All of the fields with an asterisk are required. Be sure to spell out your school's full name, not an acronym. 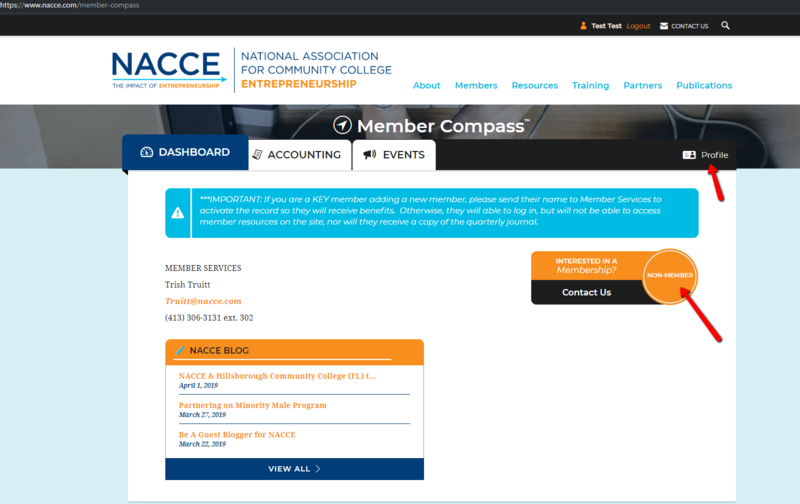 For example, spell out "North Iowa Area Community College" not "NIACC". Step 4: Once a member of our staff approves your profile, the orange circle will change from "non-member" to "member". If you'd like to further fill out your profile at a later date, click the "profile" button. 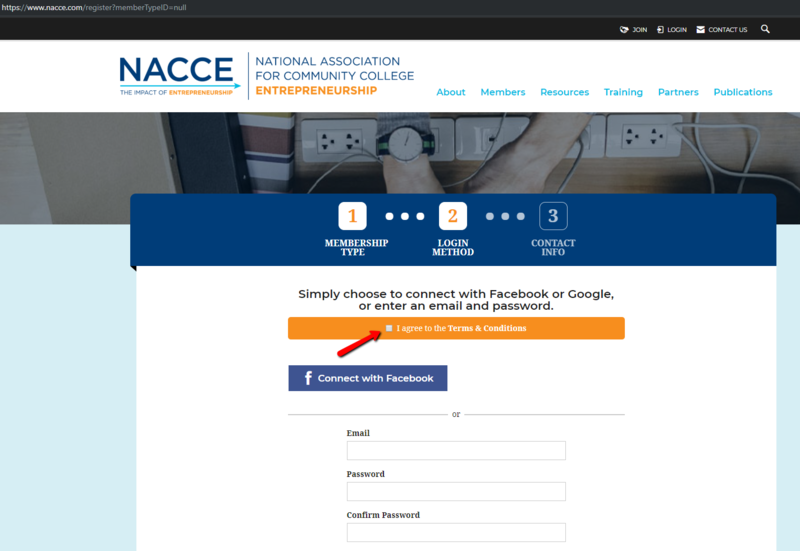 Step 5: Don't forget to confirm your email address! 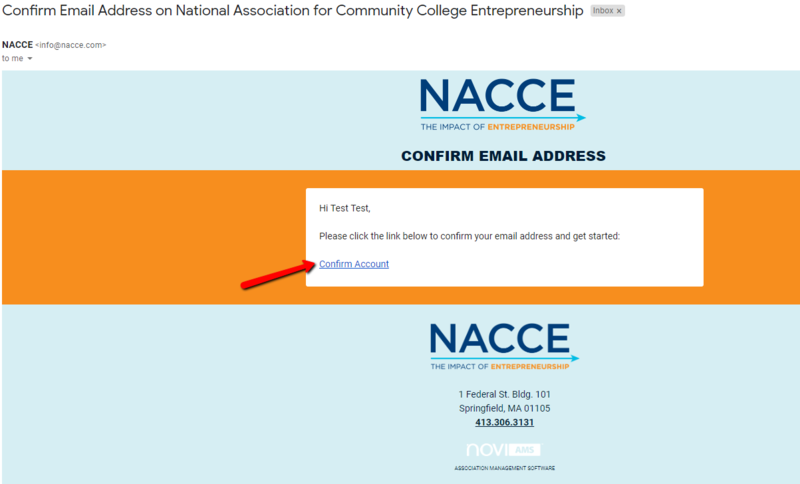 The email will come from "info@nacce.com". Step 6: Congrats! You are now a member. 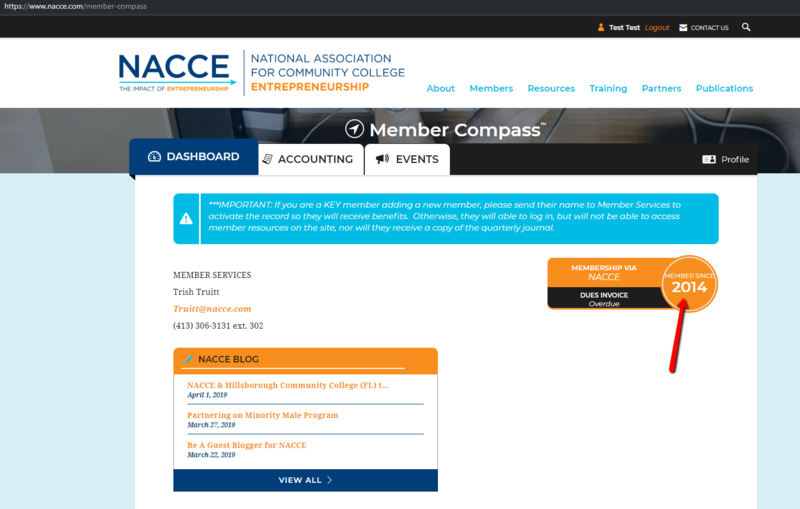 This is your member compass where you will see events you are registered for, invoices that are due, and other important announcements.